We saw excellent jacaranda trees shed purple leaves in Allawah and Kirribilli. 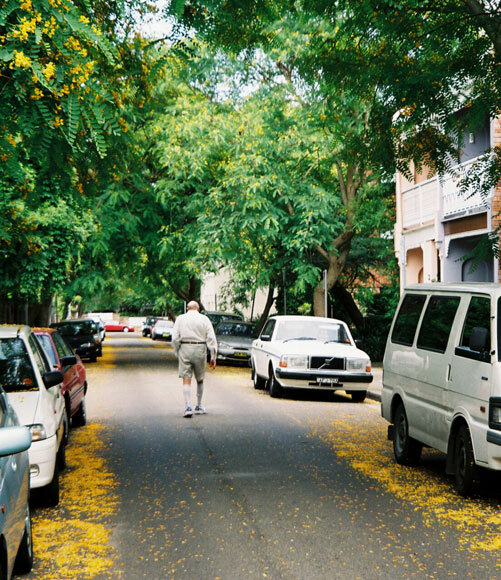 In Stafford Street, Double Bay, we saw why the tipuana tree is nicknamed the “yellow jacaranda”. 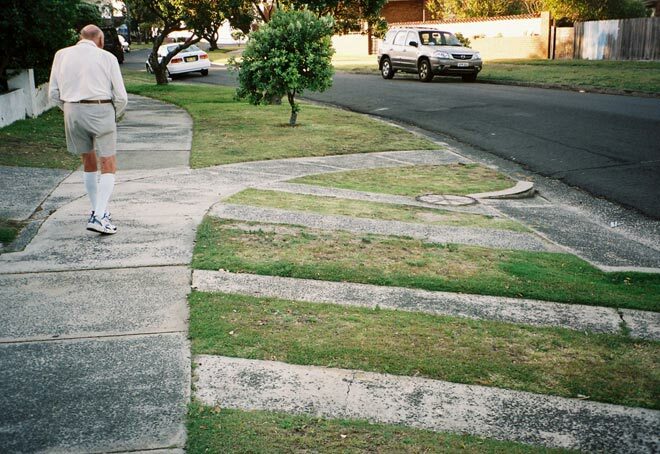 Whoever invented these Dover Heights hills should be shot. 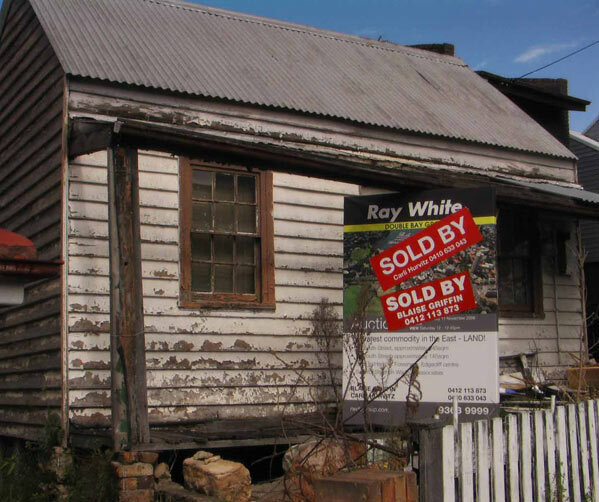 This one is in Dover Road. Dudley Page Reserve in Military Road, on top of a reservoir in Dover Heights, offers a reasonable view of Sydney city with the the world-famous Sydney Opera House and Sydney Harbour Bridge. The latter is the world's widest large-scale, heaviest single arch and largest steel arch bridge. 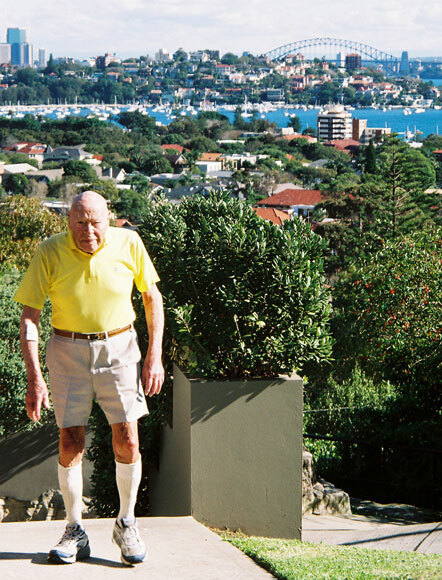 Dover Heights offers walkers plenty of choice, especially in Wentworth Street. 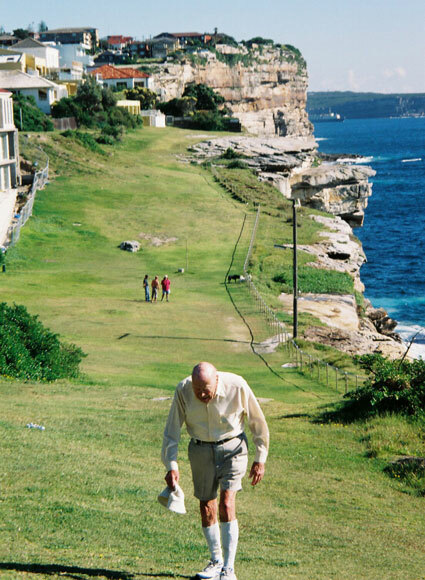 Next to the ocean cliffs at Dover Heights is a spectacular walking area that doesn’t have the renown it deserves. This section, accessed at Oceanview Avenue, is free of pathways. 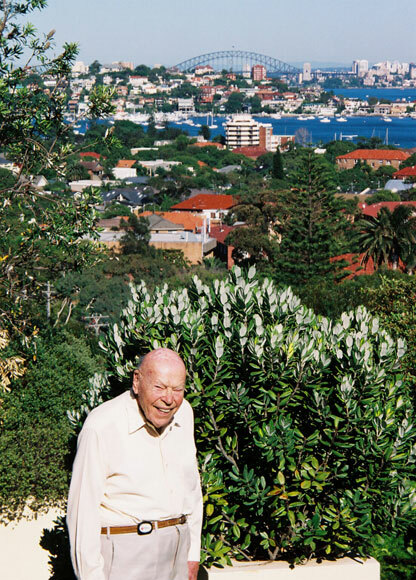 At this spot in Dover Road, Dover Heights, Alan’s photo was taken for an article about him in “Who” magazine. 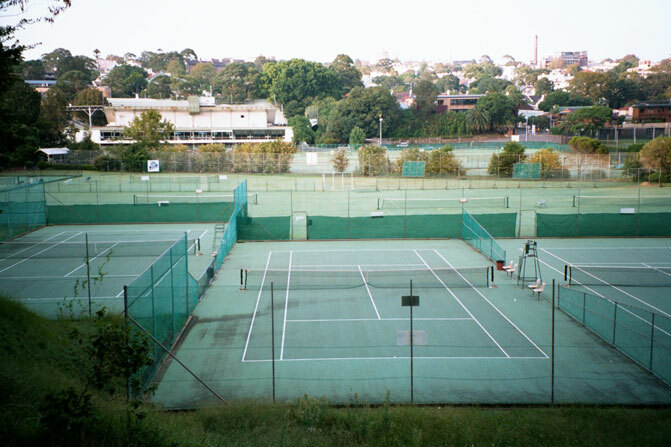 White City tennis courts, former battleground for Davis Cup and Australian tennis championships, now faces a battle against development. 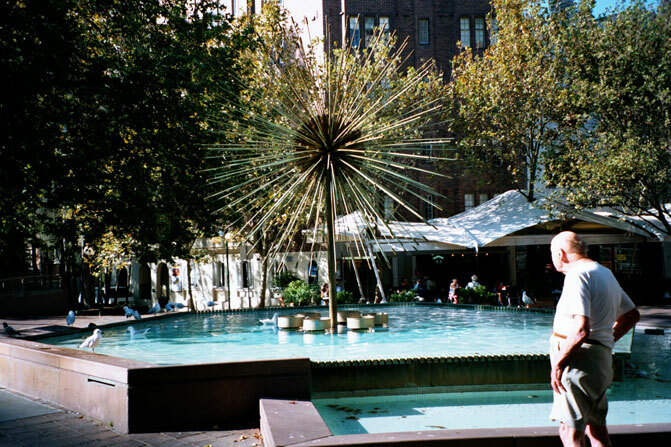 Unfortunately some people think that the El Alamein Fountain (a war memorial) is a sculpture about the Kings Cross drug problem with its related needle issues.